DODO SUGAR – UNREFINED NATURAL SUGAR FROM MAURITIUS. The brand „Dodo cukrus“ has been inspired from the Dodo bird which although has disappeared in the 17th century remains a legendary emblematic bird unique to the island of Mauritius. In the same way, special sugars from Mauritius are also well known for their uniqueness in taste and flavor. „Dodo cukrus“ brings to you this exotic taste and aroma of cane sugar thanks to the layer of molasses enrobing each sugar crystals. With „Dodo cukrus“ you will enjoy the benefits of natural unrefined cane sugar which has a balance of sucrose, glucose and fructose, whereas refined sugars are almost exclusively sucrose. As our special sugars have undergone minimal and natural processing, without chemicals or additives, „Dodo cukrus“ contains minerals like calcium, phosphorous, magnesium, sodium, potassium, iron and has a higher level of nutrients compared to refined sugars. 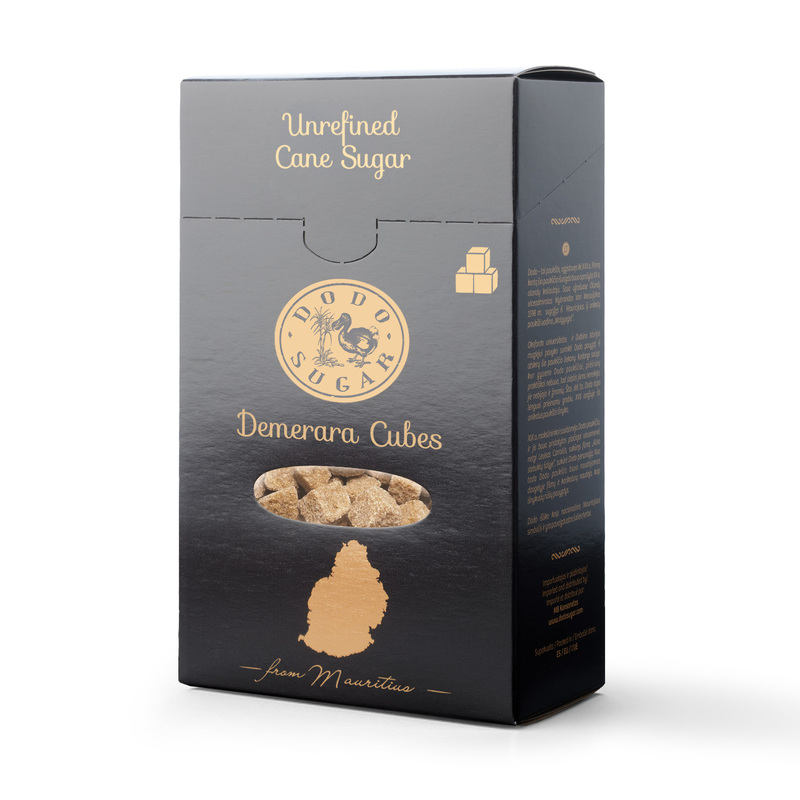 ,,Dodo Sugar” Demerara is a free flowing golden brown coloured sugar with homogeneous sparkling crystals with a crunchy texture and a rich aroma owing to the presence of cane molasses enrobing each crystal. It is ideal for sweetening coffee, sprinkling on cereals, in muesli production and as a crunchy topping for cakes as well as fruits. ,,Dodo Sugar” Dark Muscovado is a soft moist sugar with fine grained dark brown crystals, rich in natural molasses which give it its sticky texture, special flavour and aroma. It is used in confectionery, in baking more specially in spicy fruitcakes and gingerbread as well as in the preparation of savoury dishes and sweet and sour sauces. 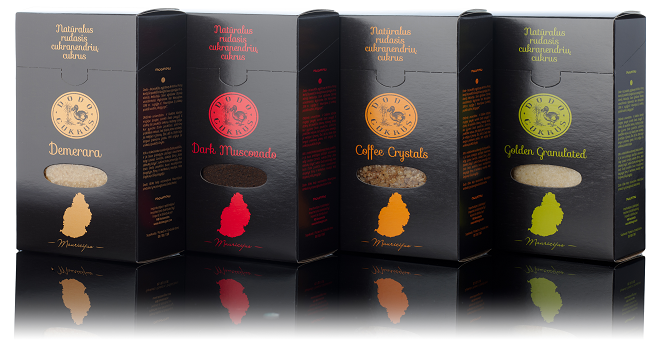 ,,Dodo Sugar” Coffee crystals is a subtly flavoured unrefined sugar with large deep golden brown , dry and free flowing crystals. It has a rich crunchy texture as well as an aromatic and subtle flavour of natural cane molasses. It is used as an ideal coffee sweetener as well as a topping for cakes, biscuits, Ice-creams, and crumbles dishes. ,,Dodo Sugar” Golden Granulated is a sparkling golden coloured, dry and free flowing sugar with a subtle buttery taste. It is used as a substitute for white Refined sugar in tea, cereals as well as in jam, marmalade and wine making. It is also used for cake and biscuit making.